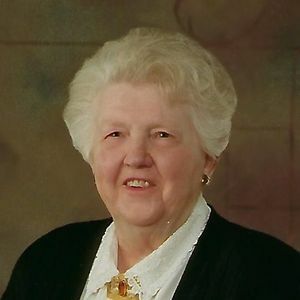 Ruth E. Hanley passed away on Wednesday, July 18, 2018 in Sun Prairie. She was born April 30, 1918 in the Town of Bristol to Henry and Rose (Dushack) Stier. She married Arthur Hanley on June 22, 1940. Ruth graduated from Sacred Hearts High School, and was a member of St. Ann's Altar Society. She was employed at Hanley Implement during the early years. She is survived by her children Thomas (Janet) of Lodi, Nancy Wolf of Fitchburg, Lois (Frank) Farrell of West Allis, and Veronica (Richard) Statz of Sun Prairie; 11 grandchildren, Nicholas (Michelle) Hanley, Matthew (Anyssa) Hanley, Brenda (Michael) Czarnik, Heidi (Mark) Williams, Tobias (Jennifer) Wolf, Brian (Rebekah) Kopec-Farrell, Tyler (Joan) Farrell, Troy (Renee) Statz, Larissa (Aaron) Buss, Nathalie (Mark) Krier, and Wesley (Andrea) Statz; 23 great-grandchildren; and many nieces and nephews. She is preceded in death by her parents; husband Art in 1994; brother Henry Stier; and son-in-law Robert Wolf. A Mass of Christian Burial will be held at 12:00 noon on Saturday, July 28, 2018, at Sacred Hearts of Jesus and Mary Catholic Church, 227 Columbus Street in Sun Prairie. Monsignor Duane Moellenberndt will preside. A visitation will be from 10:00 a.m. to 11:30 a.m. on Saturday, July 28, 2018 at Tuschen-Newcomer Funeral Home, 302 Columbus St. in Sun Prairie. In lieu of flowers memorials may be made to Sacred Hearts School. Great memories of Grandma Ruth. She always had those great cookies that were the Butterscotch Corn Flake cookies. She also hid her extra supply of those cookies in the downstair's freezer that I would sneak down and get extra ones! She would also have a small pitcher of orange juice for me when I visited. She was a wonderful woman and will be greatly missed.